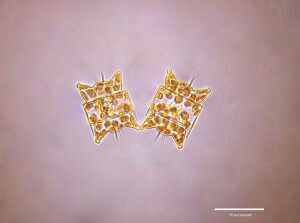 Thalassoisira punctigera and Thalassiosira tealata; Both of these species are marine centric diatoms (cell is circular in shape). I’ve bumped both of these species in the article not just because they’re species name begins with ‘T’ but because although these species seem similar, they have a completely different distribution. T. tealata was the first of these two species to be introduced in the UK. It is thought that the species was introduced here around 1950 in Blakeney, Gloucestershire. The actual introduction date is unknown for sure, but it was not found in plankton samples before 1950 so this seems a good assumption. Since 1950, T. tealata has spread from the English Channel to Norway, where it was first found in 1968. 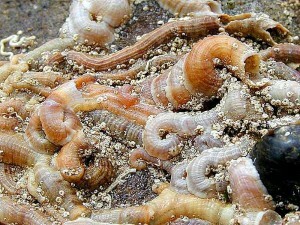 T. punctigera was first detected in England much later, in 1978, in Plymouth, Devon. In the UK, it is now found in the English Channel and the North Sea and has spread through Helgoland in 1978; Norway in 1979; Netherlands in 1981. It is not known how either of these species were introduced in the UK. The main hypotheses for this are the same as most other species on the list; ballast transport or introduced by imported oysters. It is also unknown how either of these species are increasing their distribution and spreading out. It is also unknown where either of these species originated from, although the theories of this are different areas. T. tealata has been found in Japanese waters, although it is not known whether that is related to our population here in the UK so it is assumed that T. tealata may have originated from Japan. Before the UK population was observed, T. punctigera has only previously been recorded from the North Pacific and South Atlantic Oceans, plus one record from the Caribbean so it is thought that this may be the place of origin. It seems to me that the basis of origin of T. punctigera has more standing than that T. tealata, as the former has some recordings before those in the UK and the latter does not. In my opinion, it is very hard to tell these two species apart, although I am a diatom novice. It is also made more difficult by the fact that T. punctigera is extremely variable with regard to its size and valve structure. Also, T. tealata was not actually identified and named until the 1980s, meaning that any viability in its structure may not have been observed yet. 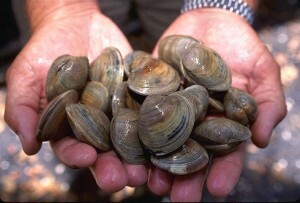 There is currently no action being taken on these species even though they are regarded as invasive. 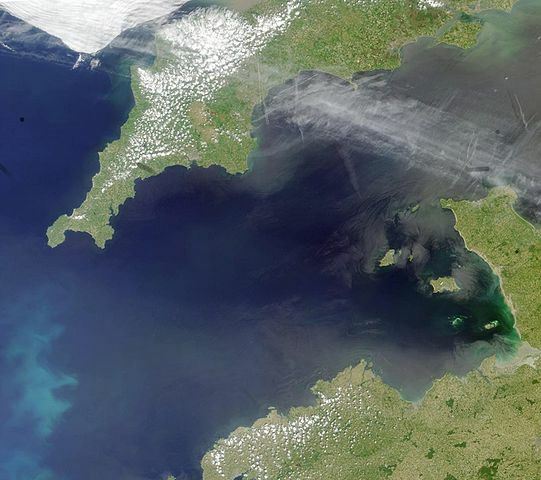 I think they are too well established to wipe out completely, T. punctigera for example is very abundant in the English Channel. Another reason for no action being taken on these species is that they are considered to have an insignificant influence on our ecosystem. 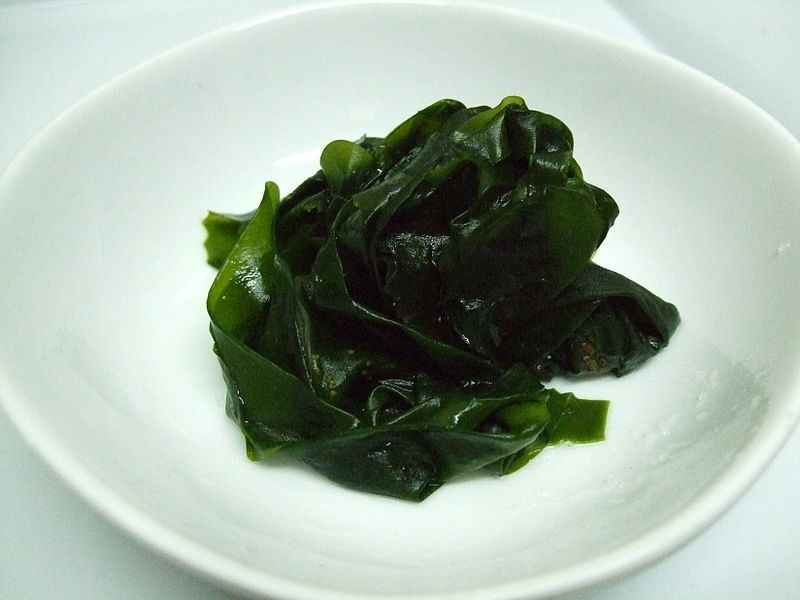 As it was so recently introduced, we have a full chronology of its spread and there have been plenty of studies on the seaweed so a lot is known.